Dengue is a viral illness spread by mosquitoes. All tropical and subtropical region of Asia, Africa, the Caribbean, the Americas and the Pacific islands are at higher risk for dengue. Nearly all dengue cases reported in the United States were acquired elsewhere by travelers. The last reported dengue outbreak on Hawaii Island was from 2015-2016. Majority of the dengue cases in U.S. citizens occur in Puerto Rico, U.S. Virgin Islands, American Samoa and Guam. There are not yet any vaccines to prevent dengue virus infection, and the most effective protective measure is avoiding mosquito bites. The symptoms of dengue include sudden onset of fever, severe headaches, eye pain, joint and muscle pain, and rash. The rash typically appears on the hands, arms, legs and feet 3 to 4 days after the fever begins. Minor bleeding of nose or gums or easy bruising may also occur. Sometimes, people with dengue have blood clotting problems. When this happens, the illness is called dengue hemorrhagic fever. Dengue hemorrhagic fever is a very serious illness with abnormal bleeding and very low blood pressure (shock). If not corrected, death can occur. The symptoms commonly start 4 to 7 days after being bitten by infected mosquitoes, but the onset of symptoms can range from 3 to 14 days. People generally recover within 1 to 2 weeks. 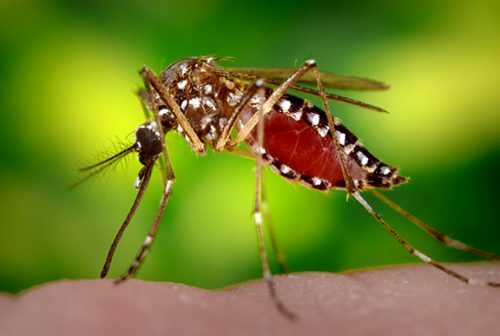 Dengue is transmitted to people primarily through the bite of an infected Aedes aegypti or Aedes albopictus mosquito, which are the same mosquitoes that spread chikungunya and Zika viruses. The mosquito becomes infected when it bites a person who is already infected with the dengue virus. It takes a week or more for the dengue virus to replicate in the mosquito; then the mosquito can transmit the virus to a new person when it bites. Dengue virus cannot be transmitted from person-to-person. Other modes of transmission that are possible but not as common are through transfusion of infected blood or transplantation of infected organs or tissues; occupational exposure in healthcare setting and infants born to mother acutely ill around the time of delivery. The diagnosis of dengue is based on a combination of clinical signs and symptoms, travel history, possible exposures, in addition to laboratory testing of the blood, serum, cerebrospinal fluid, other body fluid or tissue. If you have flu-like symptoms and traveled to an area affected by dengue, you should contact your healthcare provider for care and evaluation and stay indoors as much as possible to avoid mosquito bites and help prevent possible spread of the virus. There is no vaccine or specific treatments for dengue. Treatment is supportive. Bed rest and acetaminophen (Tylenol) to treat fever and pain are recommended. Patients are advised to drink fluids to prevent dehydration. Aspirin and non-steroidal anti-inflammatory drugs (like ibuprofen) are not recommended as they can increase the risk of bleeding. If patients are taking medicine for another medical condition, talk to a healthcare provider before taking additional medication. There are four distinct types of dengue viruses (DENV-1, DENV-2, DENV-3, and DENV-4). Infection with one dengue virus type produces lifelong immunity against that specific virus type. A person has a lifetime risk of up to four dengue infections. Dengue is not endemic in Hawaii; cases of the disease in Hawaii have all been infected through exposures outside of the state. However, Hawaii’s status as a travel destination, place’s it under continual threat of introduction of mosquito-borne diseases. Aedes species mosquitoes competent to transmit those viruses are present in Hawaii. Aedes albopictus is widely spread throughout the state, and Aedes aegypti has been demonstrated in sites on Hawaii Island. Hawaii’s climate creates a year-round mosquito season. 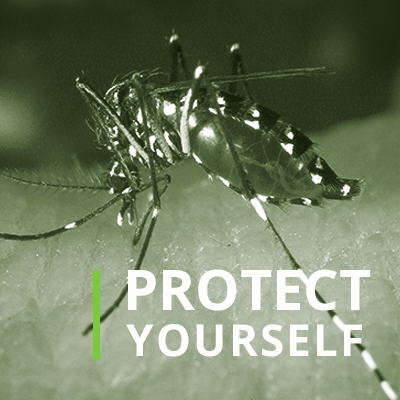 Therefore, it is important that individuals with dengue should protect themselves from further mosquito bites during the first two weeks of illness to prevent local transmission of the disease. The Hawaii Department of Health are enhancing the surveillance and prevention of arboviral diseases, and increasing mosquito control efforts. Residents should take basic precautions to protect themselves from mosquitoes by following the Department of Health recommendations. If you are going to be traveling, check before leaving if there is a risk of dengue at your destination, and if so, be sure to take precautions against mosquito bites. For country-specific travel information and recommendations, visit the Centers for Disease Control and Prevention (CDC). Dengue is notifiable in Hawaii and should be reported by telephone to the Disease Outbreak Control Division, Disease Investigation Branch on Oahu, or to the District Health Office on the neighbor islands as soon as a provisional diagnosis is established. The State Laboratory Division (SLD) of the Hawaii State Department of Health (HDOH) can perform several different tests for dengue. The real-time reverse transcriptase polymerase chain reaction (rRT-PCR) and serologic (immunoglobulin M [IgM]) testing can be done by SLD. Any positive or equivocal IgM result requires follow up testing by plaque-reduction neutralization test (PRNT), currently only available through HDOH at the Centers for Disease Control and Prevention (CDC). All specimens should be routed to SLD through a certified clinical laboratory. Symptomatic* male or female with travel to areas with active Dengue transmission. See CDC Travel Health Notices for current information. Asymptomatic men or women do not meet testing criteria and will not be tested for Dengue virus infection by the State of Hawaii Department of Health.